A short-lived settlement founded in Maine in 1607 could have changed the course of American history--if only it had survived. Led by Jeffrey Brain, shown far left raising the English flag over the site of the Popham Colony, excavations revealed the storehouse, shown here, the home of colony leader Raleigh Gilbert, part of the fortifications, and the cobble-lined stream that was the colonists' water source. Four centuries ago, a hundred Englishmen landed at the mouth of the Kennebec River on Maine's coast. The colonists built a fort, a storehouse, housing, and a ship and haggled for furs with the local Abanaki. Named for its principal backer, Sir John Popham, and its first president, his nephew George, the Popham Colony was England's first attempt at a New England settlement. But the colony didn't make it. In the fall of 1608, after a little over a year, the colonists packed up and sailed home. Nonetheless, local residents have long championed the colonists' memory. Settlers moved into the area, 10 miles south of Bath, in the 1630s, where there are now a Popham Beach village, a Popham state park, and a Civil War-era Fort Popham; and every August the villagers hold a parade to fete their heroes. But despite their best efforts, Jamestown and the Pilgrims' Plymouth have always received the lion's share of national attention. After all, the memory of the colony may have stayed alive, but no one knew exactly where it had been. But things have changed, thanks to Jeffrey Brain, an archaeologist with the Peabody Essex Museum in Salem, Massachusetts. Last summer Brain and his team of professional archaeologists and volunteers completed a 10-year search that found the actual site of the colony and revealed evidence about why it failed. The colony's brief life and the site's lack of subsequent occupation has allowed Brain to focus on a moment that elsewhere is obscured. 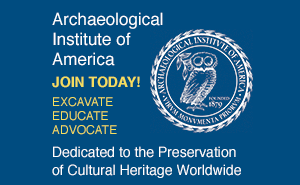 "Popham may be a footnote historically, but it's a real treasure archaeologically," says Brain. "We can come right to the slice of time and look at it. We can see 1607, 1608, the very beginning of English colonization." The site is a lovely half acre of grassy land at Popham Beach State Park on Sabino Head, a point overlooking the Kennebec's blue waters, evergreen forests, and the village's curving shore. This past September, a dozen crew members were intently working eight excavation pits cleanly cut into the ground. At the bottom of the largest were traces of the colony's storehouse: black stains that were once burnt posts and some pine tree knots, the remnants of 400-year-old timbers that have otherwise rotted away. Brain is a thickset, playful man with blue eyes, a white moustache, and unfailing good humor. Every morning he raises the English flag--the red Cross of St. George on a white field--and dresses to match in crisscrossed red suspenders, a white hat, and faded red Nantucket pants. He first heard of the colony when he visited Popham Beach village in 1990. In time, further research and a map drawn by one of the colonists led him to a site where an archaeologist in the 1960s had led a futile excavation. But when Brain dug, he found success. "It's incredible to think of that innocent little vacation growing into something like this," he said. "By golly, we're going to put Popham back on the map again." 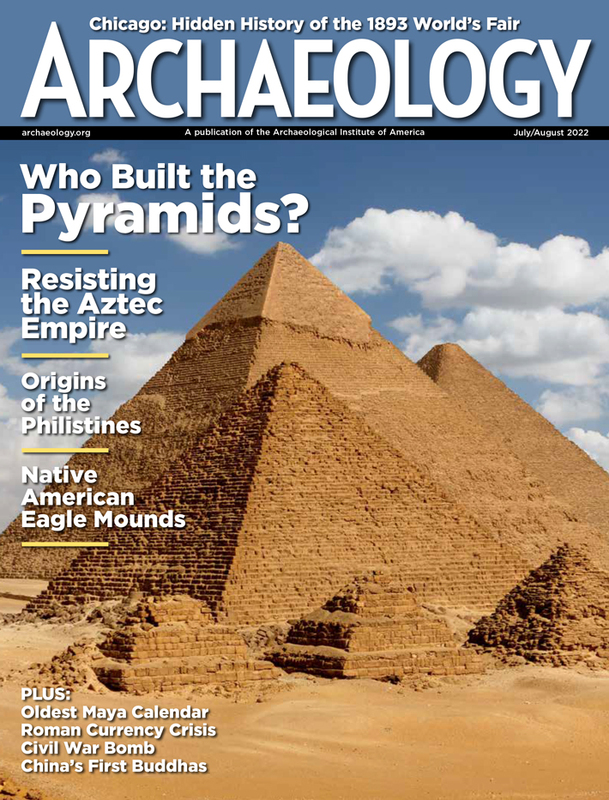 Tom Gidwitz is a contributing editor to ARCHAEOLOGY.